CIVICUS: World Alliance for Citizen Participation is a leading and diverse international civil society network, with members and partners in more than 120 countries. CIVICUS’ vision is a global community of active, engaged citizens committed to the creation of a more just and equitable world. CIVICUS’ mission is to strengthen citizen action and civil society throughout the world, especially in areas where participatory democracy and citizens’ freedom of association are threatened. CIVICUS is proud to announce two United Nations (UN) Learning Exchange opportunities, sponsored by Irish Aid, focused on Strengthening the Voice of African Civil Society and human rights defenders in the international human rights system. The position will be based at the CIVICUS’ UN Office in Geneva from beginning of September to end November 2014. 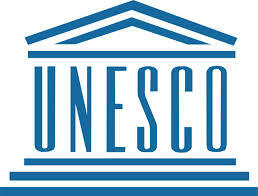 This Learning Exchange is designed to bring information pertaining to African civil society to the United Nations, to the Human Rights Council (HRC), the Universal Periodic Review (UPR) process, and Special Procedures, (Special Rapporteurs and Working Groups are part of Special Procedures). 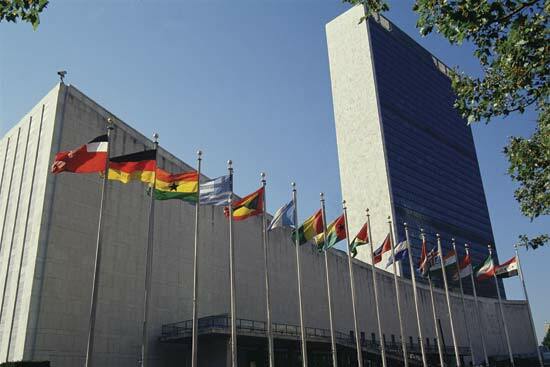 During a three-month period the candidate will be based in Geneva Switzerland, and work under the direct supervision of the Head of the Geneva Office He/she will assist in the preparation of reports or statements and help to coordinate engagement during the 27th Session of the Human Rights Council., the 19thUPR session and other relevant mechanisms. Additionally, the candidate will assist to organise side meetings for CIVICUS and partners with relevant officials from the OHCHR, particular Officers supporting the Special Rapporteurs, Governments with permanent missions in Geneva and NGO partners with permanent representatives in Geneva. These meetings will serve as a means of continuing to share new information on African civil society issues between UNHRC sessions and as an opportunity for participating partners to develop greater familiarity with the UNHRC stakeholders, which will further strengthen related advocacy at UNHRC sessions beyond the project period. Based in Geneva, the candidate will act as a bridge between civil society actors in Africa and Special Procedures as well as other human rights mechanisms, gathering, preparing and presenting reports on human rights issue thus keeping information affecting the region on the horizon at the UN through key engagements. Willingness to travel to Geneva for three months. Contact details of three referees who we may contact if you are considered for this post. Closing date for applications: Wednesday, 30 April2014. Applications from African civil society activists will be accepted. The Yale Young African Scholars Program is a new initiative that is modeled off of the Yale Young Global Scholars Program. These sessions, in Ghana and Ethiopia, are the first sessions to take place outside of Yale’s campus in New Haven, Connecticut. These sessions are intended solely for African students attending secondary school on the African continent. The Yale Young African Scholars Program (YYAS) is a high-intensity five-day program designed for African students who will graduate from secondary school in 2015 or 2016 and have the talent, drive, energy, and ideas to make meaningful impacts as young leaders, even before they begin their university studies. The Yale Young African Scholars Program is an official program of Yale University. There is no cost to students to participate in the Yale Young African Scholars Program. Participants are, however, responsible for getting themselves to the venue at the outset of the program and their return home at the end of the program. Participants will also be responsible for any incidental expenses they elect to incur. The programs will help students recognize and understand global issues, strategize responses, and innovate solutions while learning from Yale faculty and African undergraduate and graduate students who currently attend Yale. Students will participate in a lecture series and a number of elective seminars on a variety of topics. The demanding academic content is designed to improve students’ analytical thinking, intellectual flexibility, and written and oral communication skills. These skills will be further utilized in small workshops designed to prepare students for the demanding application processes of U.S. colleges and universities. Accommodation will be provided for all students, along with class instruction, three meals a day, and in the case of the Ethiopia session, transportation from Addis to Debre Zeit. There is no cost for students to participate in the program. 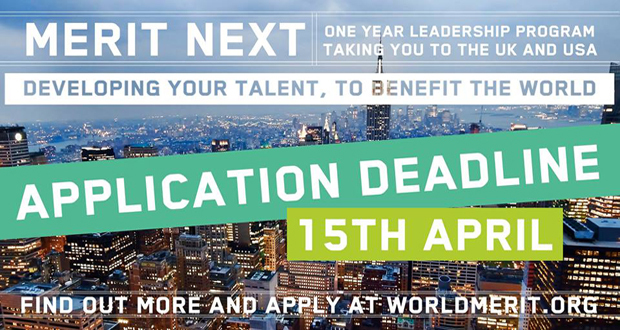 The application deadline is 1 June 2014. Successful applicants will receive travel sponsorship provided by the organizers. The Commission of the African Union is offering Scholarship for female students to study in reputable African Universities. This scholarship programme is for postgraduate level in the fields of Science, Technology, Engineering, Mathematics and Education Science (STEME). The master programs are of two years duration; while the PhD programme are of three years duration. Applicants can apply for this scholarship till 31st May 2014. Scholarships are awarded in following fields of study; Science, Technology, Engineering, Mathematics, Education Science. · Be a Female Citizen of an African Union Member State. ·Be under the age of thirty five (35) years for Masters Programmes; and under forty (40) years for PhD Programmes. · Have demonstrated outstanding academic achievement as evidenced by academic transcripts, and academic awards if any. · Have proof of admission to undertake a full time Masters or PhD programme in a recognized university of an African Union Member State. · Be willing to commit to work in an African Union Member State on completion of studies for at least three (3) years. Mara Foundation is looking for an ambitious and self-motivated individual with strong writing skills to build and facilitate interactions online in Mara Mentor and create rich content tailored to our Nigerian members. Mara Foundation is raising awareness of Mara Mentor through marketing and supporting on-the-ground activities, including Mara One-on-One, competitions and campus storms. The Community Manager will need to assist in the development of a communications plan that coordinates online content sharing, and online events (e.g., forums and training) with the on the ground activities. The Community Manager will act as the face of Mara Mentor online, interacting directly with members to facilitate interactions and answer questions. You will directly interact with senior internal and external stakeholders via email, phone and face-to-face meetings thus professional decorum is of the utmost importance. The successful Community Manager will write succinct End-of-Month and annual progress reports, conducting thorough analysis and evaluation to continuously improve online interactions and proactively develop new strategic recommendations. You will be reporting to the Country Manager, with a dotted reporting line to the Director, Mara Mentor. Content creation: writing blog posts, articles, newsletters, communications materials, and material for Mara Mentor, tailored to Nigerian entrepreneurs and mentors. Events and planning: organise online events with Nigerian mentors and mentees (e.g., forum and online training), as well as attending local Mara Foundation and industry events. The Community Manager must be aware of all major news and events on entrepreneurship in Nigeria. Customer relations: oversee the Mara Mentor helpdesk; review user generated comments and posts in a quick and timely manner and respond to comments, when appropriate, in order to foster a positive community and add value to the user’s experience. Analytics: use analytical tools to track and evaluate impact of content created and communication strategies; continuously seeking opportunities to improve the quality and impact of the Mara Mentor content. External relations: network extensively with Nigeria’s youth and youth organisations. Build and maintain long-lasting relationships with relevant stakeholders in Nigeria’s business ecosystem. Possesses a “can-do” infectious positive attitude and an entrepreneurial team player perspective. Must be honest, accountable and assertive. Interested candidates should apply by emailing a CV and a covering letter explaining their interest in the position and what they could bring to it to careers@mara.com. Please specify the job title in the email subject. Only complete applications will be considered. Only successful applicants will be contacted. The position will be based in Lagos with frequent travel to other states and candidate should be available to start immediately. An ICT Policy internship at Paradigm Initiative Nigeria is your chance to join our policy team working on emerging threats to digital rights and to connect with our global network of Internet policy advocates. You’ll be partnered with a member our policy team who will provide the guidance and structure that will enable you to make the most out of your time working on one of today’s most pressing socio-economic issues in Nigeria. While there’s a lot of flexibility in Paradigm Initiative Nigeria’s fast-paced working environment, you’ll generally be assigned to one (or more) of our key ICT policy areas. A successful applicant will have an interest in at least one ICT Policy area and have a passion to learn more about technology, human rights and socio-economic opportunities. Ideally, candidates should preferably be enrolled in a university (or a recent graduate) of law, political science, international relations or with a technology background. Being well organized, motivated, and reliable will also help your application, as will research and writing skills and fluency in a foreign language, but if you only speak English, that’s fine too. Interns will ideally work out of our amazing Abuja office. However, due to our love of the internet, we’re happy to talk virtually and applicants will be considered from locations worldwide. To apply, email your CV, a cover letter (explaining your interest in our work) and two references (ideally an academic and a professional reference) to work@pinigeria.org by 5pm on Wednesday, May 14, 2014. Please use “POLICY INTERN – [Your Name]” as the subject line. 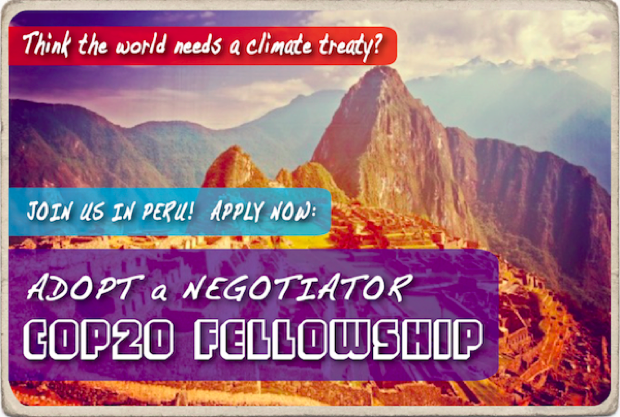 The Global Call for Climate Action is looking for young, innovative journalists, bloggers, writers, activists and creatives to become Adopt a Negotiator Fellows for 2014. These Fellows will combine their passion and skills with an amazing opportunity to help shape their government’s role in solving climate change. They’ll join a team of passionate, dedicated and talented activists from around the world; participating in moments that will shape if and how the governments respond adequately to the climate challenge. Their efforts will build on a proud legacy of past ‘Negotiator Trackers,’ who have helped shape the UN climate negotiations ever since 2009. If you think you can help shape the direction of this year’s climate change negotiations by creating change in your own country, then this is an opportunity not to be missed. This year, we will be offering all short-listed candidates the chance to prove their skills in the lead up to the conference through training opportunities with some of the world’s best climate change communicators and activists, and a support network to help get your voice where it counts. You’ll also have the opportunity to join a team of passionate, dedicated and talented activists from around the world, working together to actively transform the way climate change is communicated in their home countries. This team will work together in the lead up to this year’s UNFCCC Conference of Parties in Lima, Peru. If selected, you may also have the opportunity to travel to Lima in December this year as aFully Funded member of the Adopt a Negotiator’s – Negotiator Tracker – team. We’re looking to build one of the most dynamic, diverse and innovative media teams that has ever covered the climate negotiations. Able to actively contribute to the Adopt a Negotiator project as a writer from June this year through to May of 2015. Available to attend the UN Climate Change Conference in Lima (December 1-12) and strategy development meetings in the days leading up to the Conference. But most importantly, applicants must be Amazing! VSO ICS is a youth centred community development programme, conducted in partnership between International Citizen Service (ICS), Voluntary Service Overseas (VSO) and implementing partners. The three-month programme brings together young people (aged 18-25) from the UK and Nigeria. Each team will typically consist of 20 young people, with equal numbers coming from the UK and the host country. In carefully selected communities, volunteers work in placements fully supported by our implementing partner organisations and two full time VSO ICS programme supervisors. Together, in cross-cultural counterpart pairs, volunteers live with host families and work in the host communities. The type of work varies depending upon the needs of the community, but can include service delivery, advocacy work, and peer-to-peer education programmes. Through a programme of structured personal development and learning, ICS aims to create a cadre of young people who will make lifelong contributions as advocates for international development and as agents of social change within their own communities. Only short listed candidates will be invited for the interview. This unique program has been designed to reward people who are passionate about making a positive impact on the world through providing travel to the UK and USA, along with 11 months of online mentoring and global collaboration. As a Merit Next Fellow, you will enhance both your personal and professional development through team-building workshops, site visits in two countries, and exclusive access to global thought leaders. Throughout the program, you will create your own personal life-plan which you will later present to a panel of entrepreneurs, executives, and venture capitalists. You will also take part in virtual collaboration with our team of experts and leaders, where you will be placed into teams of 6 and asked to develop business plans tackling particular global issues. Our team of experts will mentor you and build your personal and professional life plans, this will happen online and offline. You will collaborate in teams to produce a global action plan focusing on Gender Unity or Environmental Sustainability. Stakeholder Forum has partnered with CIFAL Scotland to offer a unique e-learning opportunity which will enhance the capacity of participants to engage with the international Post-2015 process to design and agree a set of Sustainable Development Goals. Conducted through the United Nations Institute for Training and Research (UNITAR) Virtual Learning Platform, participants will be provided with the essential knowledge needed to engage with the international process on the Post-2015 Development Agenda.